Let's Be Clear returns with a Cavs favorite. You want your local newsmakers to be open and honest with you, right? Let's be clear, then. Last time, we sat down with several Northeast Ohio newsmakers, including Gov. Mike DeWine, actress Monica Potter and gun rights activist Kaitlin Bennett. Click here to watch past episodes of Let's Be Clear. 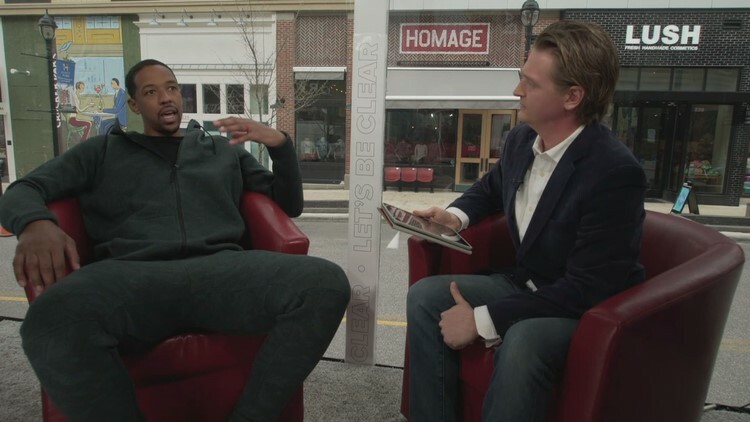 Now, we're back with Season 2 and we started with former Cleveland Cavaliers forward Channing Frye, who recently retired at the end of the NBA regular season. Frye talked about his favorite Cleveland spots, his plans for retirement and the state of the current Cavaliers. Now retired, Frye says he's exploring the world of broadcasting. "For me, what's most exciting, is trying to find something else that I love. Something else that fires me up in the morning," Frye said. "Commentating, being a part of basketball, being still connected but on a different side is very exciting to me." Frye said retirement has also presented him with a chance at a "normal" life, meaning he can set his own schedule and the opportunity to put his family first. "I think me being normal just means I'm not in the limelight as an NBA player anymore. It's fun, it's amazing, I'm appreciative, but I like to chill out a little bit," he explained. Frye plans to stick around the Cleveland area for a few more months, a place that he has come to love, noting favorite spots like Barroco, Momocho and Dante. "Everyone who has played on this team this year has been like man, I didn't know how awesome it was here. Your enthusiasm here, the fans here, everything here is way better than how people assume it is. "I think Cleveland is on the up and up." Frye also weighed in on the name change from Quicken Loans Arena to Rocket Mortgage FieldHouse. He says the change makes sense from a marketing perspective. Frye said he'd like to keep a hand in the Cavaliers organization as he sees a bright future for the current roster. "I think we have a championship front court and I think we have a very young but growing back court," he said. "I think, for me, you look at Colin [Sexton], you look at Jordan [Clarkson], you look at Cedi [Osman], you look at Delly [Matthew Dellavedova] coming back next year, that's a really solid back court. I think you just need to add some bigger shooting." To wrap things up, we even got Frye to show us his best impression of Stanley Hudson from "The Office." RELATED: How would Zion Williamson fit with the Cleveland Cavaliers?